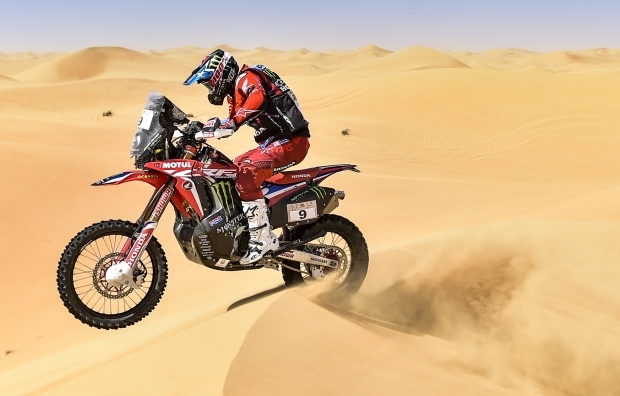 Monster Energy Honda Team were among the main contenders for the Abu Dhabi Desert Challenge, the first round of the 2019 FIM Cross-Country Rallies World Championship, with a positive final podium finish for young José Ignacio Cornejo. The FIM Cross-Country Rallies World Championship got off to a flying start for… read more. 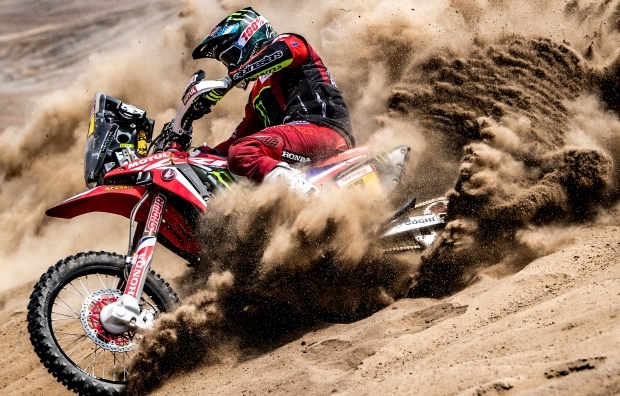 Monster Energy Honda Team is back on the final podium of the Abu Dhabi Desert Challenge. 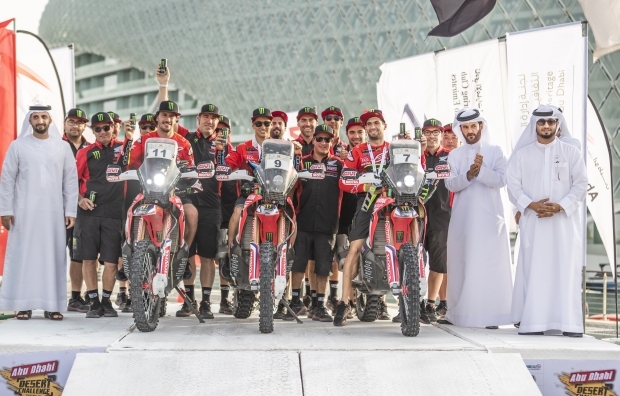 José Ignacio Cornejo finished third in the inaugural round of the FIM Cross-Country Rallies World Championship which concluded today at the Yas Marina circuit. 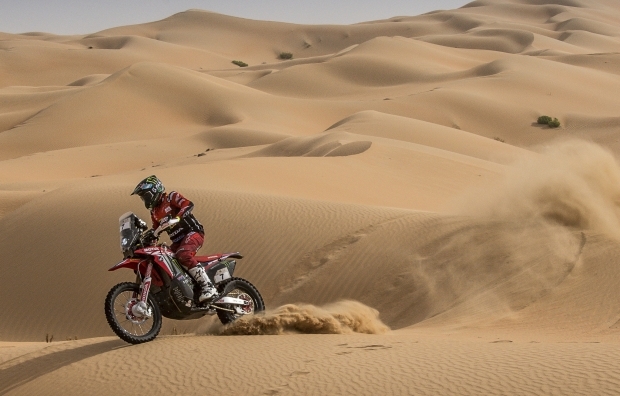 The final stage of the Abu Dhabi Desert Challenge saw… read more. 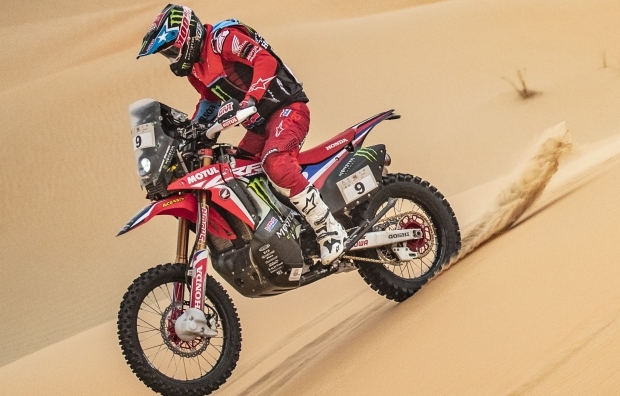 The Chilean rider of the Monster Energy Honda Team, Jose Ignacio Cornejo, took victory in the fourth stage of the Abu Dhabi Desert Challenge. Barreda and Benavides also finished the special in notable positions. 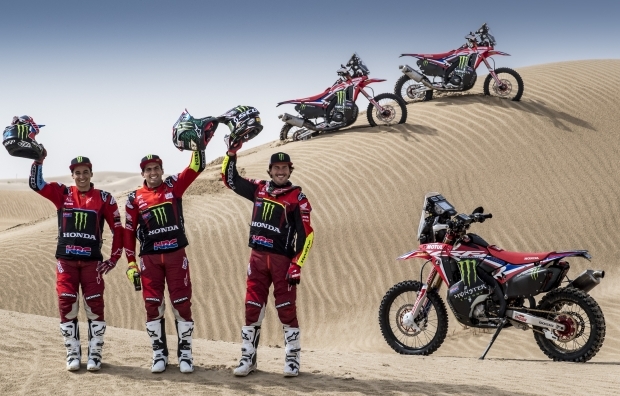 In Liwa, day four of the Abu Dhabi Desert Challenge saw the Monster Energy Honda Team… read more. Kevin Benavides finished in runner-up spot today on day three of the Abu Dhabi Desert Challenge. Monster Energy Honda Team riders are poised to attack from advantageous start positions for tomorrow’s penultimate day of racing. More dunes and more sand, but the same heat and, from the first hour this… read more. 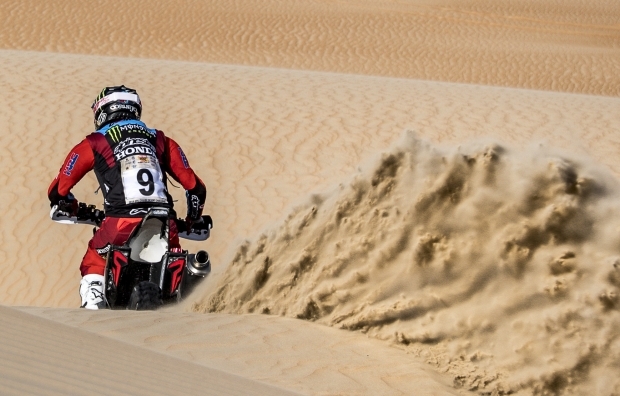 The Monster Energy Honda Team riders turned out a fine performance today in the dunes of Liwa. Cornejo and Barreda finished first and second on the day, while Benavides gained a notable starting position for tomorrow. The heat and wind were once again the key climatic elements of stage two… read more. Good positions for Nacho Cornejo in third, and Kevin Benavides, fifth, at the end of the first day of the Abu Dhabi Desert Challenge. Joan Barreda will set off from behind tomorrow after suffering a mechanical setback today. 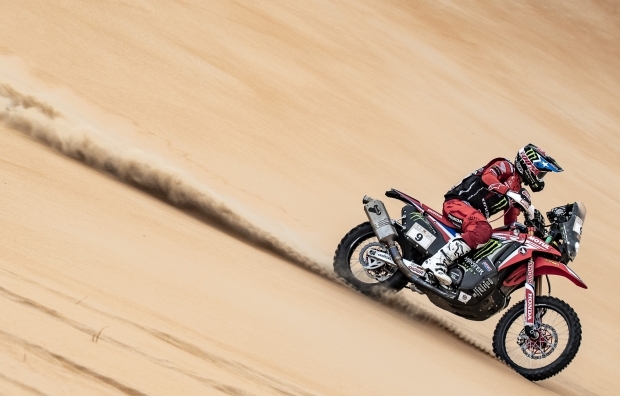 Prudence prevails on returning, two months after finish the Dakar Rally, to… read more. Monster Energy Honda Team is all ready to face the Abu Dhabi Desert Challenge, the first round of the 2019 FIM Cross-Country Rallies World Championship, which kicks off tomorrow at the Yas Marina circuit. Everything is on standby at the Yas Marina Circuit as the teams await the starting gun… read more. Monster Energy Honda Team get the season underway with the first important calendar date at the Abu Dhabi Desert Challenge. The 2019 FIM Cross-Country Rallies World Championship will start in the Middle Eastern country with three team riders taking part in the UAE desert race. Ricky Brabec last week made… read more. 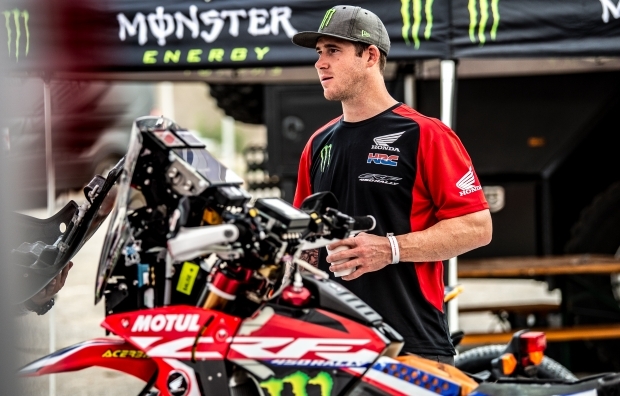 Ricky Brabec’s preparations for the 2020 Dakar got underway two months after the close of the 2019 edition, where the American rider had left such an excellent mark. Brabec continued to impress this week in Mexican desert. Monster Energy Honda Team’s American rider Ricky Brabec claimed victory in the Sonora… read more. 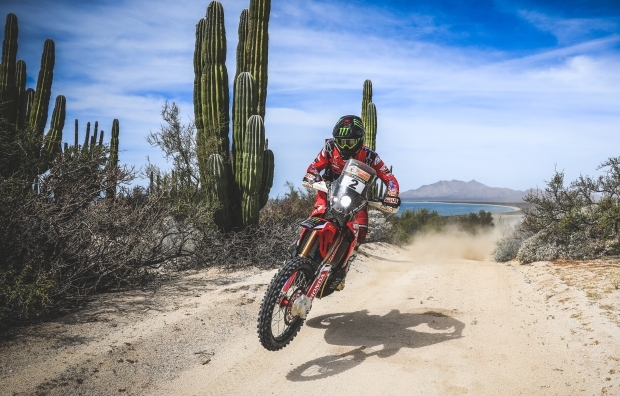 American Monster Energy Honda Team rider Ricky Brabec, the sensation of the most recent Dakar Rally, will participate this week in the Sonora Rally, a race through the Mexico desert which the rider previously won in 2017. The Sonora Rally will play out in the arid Mexican desert, on the… read more.